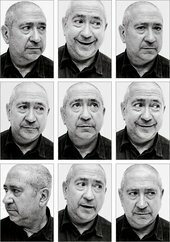 Christian Boltanski (born 1944) is a French sculptor, photographer, painter and film maker, most well known for his photography installations and contemporary French Conceptual style. He is the brother of Luc Boltanski and the partner of Annette Messager. The writer Christophe Boltanski is his nephew. Christian Boltanski is interviewed by researcher and writer Rikke Hansen.